make it perfect: .Queensland Flood Relief Appeal Auctions. 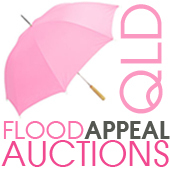 .Queensland Flood Relief Appeal Auctions. When Jan emailed me from a flooded Queensland town, her husband was at a Town Council meeting to organise clean-up operations and she was at home thinking about ways she could help make a difference to families who had lost everything. Jan suggested making products to donate to these families, and it got me thinking that we could go one step further and raise money to donate to the Queensland Flood Relief Appeal. Here's the plan. On Monday 17th January, I will have a master list of bloggers who will be running auctions from their blogs, selling products that they make or from their stores. You will have one week to bid on these auctions, and hopefully be the lucky winner of these great products. Auctions will be open for 1 week, and will close at midnight on Monday 24th January. All of the money raised at these auctions will go directly to the Queensland Government Flood Relief Appeal. I feel so blessed sitting in my dry home, enjoying my peaceful surrounds and my heart goes out to those who are suffering in our own country at the moment. I feel helpless when I watch the news and see the terrible destruction and devastation that is happening on our own shores and want to do something that will help make a difference - I hope you will join with me! If you have a blog, you might be interested in holding an auction on your blog (it is really simple to do!) 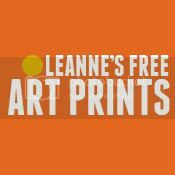 I want to get things up and running as soon as possible, so if you are interested, please let me know right away and I will send you an email with more information. You can also help by supporting the auctions and bidding. I am hoping to have a great range of fantastic bloggers and products up for auction. What better way to shop than receive great products knowing that ALL of the money you have paid is going to benefit someone in need?! Keep checking back for more information...I'll have the QLD Flood Appeal Auctions button (see top right) linked to a page of auctions in the next few days and will continue to update the list as people sign up. Thanks for reading and I hope you are ready to join with me in making a difference to those in need. They show how REAL this is. PLEASE DONATE. Good on you Tone. Looking forward to seeing how much can be raised. We are in North Brisbane and safe at the moment but its devastating watching all this happening around us. I have also blogged about it. Would love to help out too but in the process of moving back to NZ.. will look to donate instead. Thankyou so much Toni! Still in shock over what happened in Toowoomba and the Darling Downs yesterday. We were very lucky to have 2 weeks to pepare our town for the flood waters. These people had no time at all. They need as much help as possible!! Bring on the Auction! Can't wait!Thanks again Toni! I'd like to be involved, I live in QLD and have friends and relatives being affected by this horrifying amount of water. I can definitely auction one of my bags. Hi Toni, these floods are so devastating I would like to help in any way I can. Thanks for being the instigator for a fund raiser. Brilliant idea Toni - saw it on retromummy as well so the word is definitely spreading! I'm not a blogger but I'll definitely be bidding and just made our donation to the Qld appeal online. My family are there and I know people who are doing it hard in Condamine and Rocky - so thank you for getting this going. I would like to have an auction on my blog - Please e-mail me and I will forward details etc. I have just started my blog but as I have friends and family being affected by the floods I would like to donate a couple of items to auction off. Looking forward to helping and hearing from you soon. Count me in Toni. I will crochet up a few sets of sandwiches. Hi Tone, Please email me as I have a newly finished lap quilt that I would like to auction. Hi Toni, I have lived in Toowoomba for 21 years and have never seen anything like this. Please email me the details, I would like to participate. Count me in, I'd love to help, I have a sweet pillow to be auctioned. I'll make a W Class Cushion to auction. Let me know what to do. Great idea , I have a quilt I'll donate . I have blogged about this , to spread the word. Thanks so much for organising this auction - I don't have any goods that I can sell as I use my blog to write. I have also added your button to my sidebar in the hope that others will come here to donate items etc. Good luck getting goods and if there is anything else I can do I would love to know. I would love to auction a couple of my hand made rubber stamps for this fantastic cause. Please drop me an email to let me know how I can be involved! I would love to auction a quilt (small). Thanks for organizing this. I would be interested in auctioning something. Please send me the details. I'm so sorry--the devastation is horrible. I would love to help I would like to have an auction please email me with details amy@weepantz.com. My heavily pregnant sister (could give birth any day now) is trapped in Caboolture so we are all praying for their safety, but money helps too so this is a great idea! I have posted the auctions on my blog and I have also added a link to the QLD gov site. Best of Luck to all our QLD cousins we are thinking of you and will help you through this. This is a great idea Toni. I have two bags I would like to auction..I'll blog about it ..
Count me in Toni. Happy to auction off something handmade. I have blogged about this too. HI Toni - I'll make something to auction off too - can you send me the info?! Hi Toni, I have two of my bags I would like to auction to help..
My heart and thoughts go out to those who are doing it tough right now..
Hi Toni, what you're doing is fabulous!! 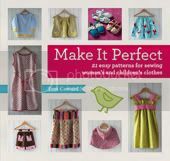 Please email me - I'd love to auction a kit and one of my patterns. Hi Toni, I have two kits that I would like to auction. I only have 5 followers so I'm not sure how successful it would be though, but anything is something! Email me with details! Hi Tony thank you very much for organising this auctioned. My family will be participating and I have emailed you about this. Hey Toni, great work!!! Our family is in Rocky and also in brissy, so we are trying to help out any way we can. Dont have anything to auction, but we will be bid-bid-bidding!!!! Thanks for doing this Toni. I really want to get involved. I've blogged about it and will email you when I know what I can put up for auction. I am super super super super super keen!!! I would be happy to auction one of my knitted dresses. Can you email me too please? I'd love to be involved...it's a fabulous way of helping! I'd like to hold an auction....don't really make anything professionally, but would like to donate either some patterns, jelly roll or something of the like?? Can you email me with details?? Thanks so much, you're amazing! We have been brought to tears watching the devastation and loss through news reports. I'll be stitching up some stuff for auction. Please email me with any details. Hi Toni - I have a fairy skirt or two to auction off - are you able to email me the details? OMG!!! Please email auction info. I have a box pouch I'd like auction for this cause. Hey, I've just posted this amazing idea on my blog. Hope it helps. The best of luck to you and to all of Queensland. I'm so sorry such a disaster has occurred and feel for everyone affected. Melbourne Modern Quilt Guild has posted about this. Great work Toni! I've posted about it too, thanks Toni! Awesome job! I would love to help out by holding an auction. Please email me more details. What a great way to help out. I've posted on my blog and put up the button. I'll try and get this on my facebook sight also. Toni - I have a quilting book and some fabric that I'd like to auction as part of this appeal. I'd appreaciate if you could please add me to your list! Thanks so much for getting in a doing something practical at this horrific time for those in Queensland. I'd like to be involved. I'm from Toowoomba. So many people here and in the Lockyer Valley, where I grew up, have been hit so incredibly hard. They need all the help th can get. Super idea - will email you and make something. Hi Toni. Thank you for taking the initiative. I am going to have an raffle- like Jodie. I have put a link to your blog. I would love to contribute some items for auction... but I don't think an auction on my blog is going to get enough attention. If I can contribute goods to somebody else's auction, please let me know... and I'll check out the Oz Material Girls to see if I can contribute that way. Thanks for getting things rolling. Thanks for message on blog - have already emailed your contact email and received back info email. Thank you. Go well. This is an awesome idea! I would love to auction up one of my softie fawns on my blog next week with all proceeds going to the appeal. Please send me details on how to be involved! Happy to donate party printables that have been designed and can be customised for any event. What a champion effort Toni! Count me in..could you please email me the details. Well I don't have anything to auction off, but if I can get something together by Sunday evening I certainly will join in the auction. Otherwise I'll be bidding for sure. I was thinking it might be an idea to put together an e-auction for charity site, like an ebay shop. I'm looking into it but you may be better placed to do so. 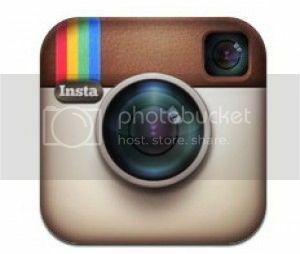 I have only just started blogging so don't expect I'll get much traffic - might be better to post the bag pic on someone else's site and I'll post it to whereever. 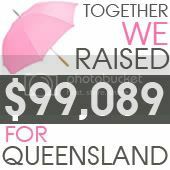 I am sure that many Queenslanders (including myself, though I have thankfully not been in the flooded areas) would thank you from the bottom of their heart for organising this fundraiser. My son would like to knit a washcloth to auction off (he's 9 and just learnt how to knit). Would this be okay? This is such a great idea, good on you for organising... Lets see how much we can raise those poor flood effected families..
thanks so much for rallying all of us bloggers into helping out! Hi Toni, I'll get involved too, emailing you now. I have just posted my two auctions on my blog. I hope that they raise some money. Thanks for the idea. Great idea Toni, i would love to auction an artwork from my blog. Can you please send me an email on how to do it. I would like to help with auctioning something. I don't know what yet but I'm sure I will be able to rustle up something. I would love to host an auction. I'm in New Orleans, so I definitely understand some of the devastation caused by flooding. Please email me with any information. I would love to join in with this and hold an auction too if I am not too late to join up. Thanks Andy. Please send me info on how to do an auction on my blog! I have been lucky enough to visit Queensland several times & would love to help. Hi there - great idea getting all this info in the one place. I am currently setting up a page for my auction - will come back with the URL soon. I have some hand knitted shawls I can auction (winner's choice of three or four). Let me know how to join in please. toni/carli - thankyou for doing this. auction necklaces is up on my blog now -- this is exciting!! so very glad I could do something from here! go villages!! we all can make a difference... wahoo! I would love to host a quilt auction on my blog - please let me know what to do to participate. Thanks, Emma. Thanks toni for organizing this. I would love to help, by auctioning some fabric on my blog. Hi Toni- I have just put a quilt on my blog for auction- and have linked to your blog. Is there anything more I should do? I have my auction all ready in draft to go. I have linked to your blog. Is there anything else I need to know? YES...please email me the information. Can you please email me? I would like to do this too. Fantastic idea, so glad the blog community is so full of big hearted people!! Hi Toni, this is a brilliant idea - thanks for organising. 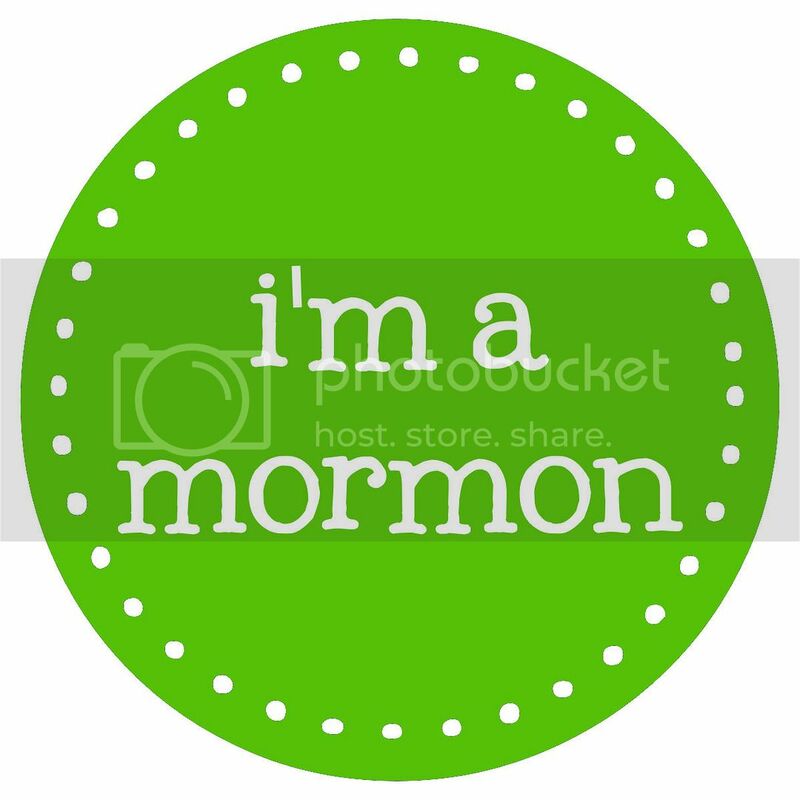 I have added your button to my blog. I have at least 4 amigurumis I would love to donate for this auction, I worry my blog doesn't get enough attention but please please email me the details anyway and I am going to give this a go! Hi Toni, I would love to take part and have an auction on my blog. Please send me the details! I'd love to help. How exactly do we set up an auction on our blogs? Let people bid for your items using comments? Just let me know the specifics, and I'll get started. Qld flood was devastating. I found a useful website qldflood.org. Sound Good! It sound nice to help the flood victims through auction things and earn money for these victims.